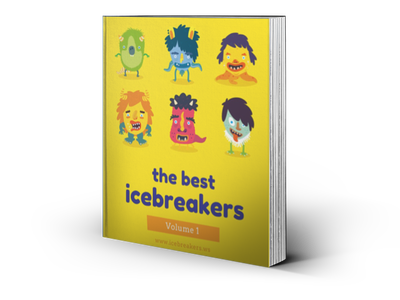 Hot and Cold Game - Icebreakers, Icebreaker Ideas, Games, Activities! The Hot and Cold game is a simple, crowd pleasing icebreaker game! It gets the crowd going. Simply choose a mystery action and have a volunteer try to figure it out. The group cheers for them loudly when they are closer to doing the action and boos them when they are farther away. This game is best for ages 12+ and ideal for groups of 6+ people. Large groups are okay. Multiple groups can also play this simultaneously. Materials Required: No materials are required for this game, although you can use any props around the room that are available to you. How to set up the Hot and Cold Game: You do not need to do anything to prepare for this game. All that’s needed is the group members themselves, although it may be wise to remove any unsafe objects that are present to keep players from using these during the game. Gather group members together in one room. It’s time to select the 1 or 2 people that are the “chosen players" for the first round. You can ask for volunteers or else choose the first players for yourself. Send the chosen players out of the room. Once they are out, have the group come up with an action they must perform when they come back into the room. Moderate this process to make sure an appropriate and safe action is chosen. Bring the chosen players back into the room and instruct them to try to figure out and do the mystery action. Other group members should be observing the chosen players and cheering or encouraging them when they are getting closer to doing the action (“hot") and booing when they are getting farther from doing the action (“cold"). No words should be spoken by the group about the mystery action and no gestures should be used to indicate what needs to be done. The game is over once all the chosen players perform the mystery action. You may choose the next players by who was the most encouraging, who came up with the final action ideas, or any other criteria you see fit. Normally there is no winner or loser in this game as it is just a fun activity to help with group bonding. Alternatively, you can divide the group into two or more sets of people with their own chosen player and mystery action. Set a timer and let the teams compete to see whose chosen player will complete their action first. You can also time each chosen player to see how long it takes them to complete their mystery action. The one with the shortest time is the winner.